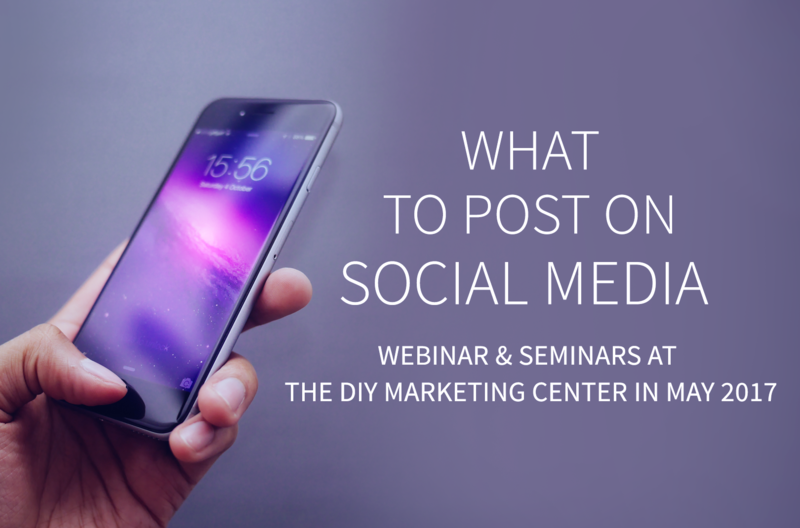 => Social media + New Member Orientation + more! First, the Mastermind meeting will run from 3:30-5:30pm, so you have almost a full day to get stuff done before you show up to work with your coach and tribe. Second, the May marketing class debuts Thursday night, and it will be a good one! This marketing seminar repeats on the second Wednesday of the month as a webinar and on the third Friday of the month in Vancouver. How convenient is that?! The first afternoon edition of our monthly marketing seminar happens in Vancouver on Friday from 12-1:30pm, immediately following our Vancouver Mastermind meeting. Yes, this could be a little confusing, because now the Vancouver morning Mastermind meeting is on the third Friday of the month, and I know you're used to a different schedule. However, this month's schedule of meetings and classes is working out well so far, and the feedback has been very positive, so, YAY! Looking forward to seeing YOU this week at the DIY Vancouver! Did you know the quick and easy way to see if the coaching session you want to book is available? Simply switch to list view on the calendar (see how above). You'll have to scroll through the events, but you will see without having the open each event if the session is open/available or already booked. All coaching sessions are clearly listed in the calendar as 1:1 Coaching [Private Session]. To see if the session you want is available, click on the link in month view (above), or switch to list view to see details without having to click through. The new (regular) day and time for our monthly marketing webinar is the second Wednesday of the month at 10am, so please make a note in your calendar. I just love recurring appointments, don't you? Once it is set up, I never have to worry about missing that meeting again, which is one more detail I don't have to worry about. This month's webinar is How to Create Your Business Brand Bible. The slides and one of the handouts are already posted for those of you who just can't wait; find them in the Members Only area, Marketing Classes section, on the Brand Bible page. 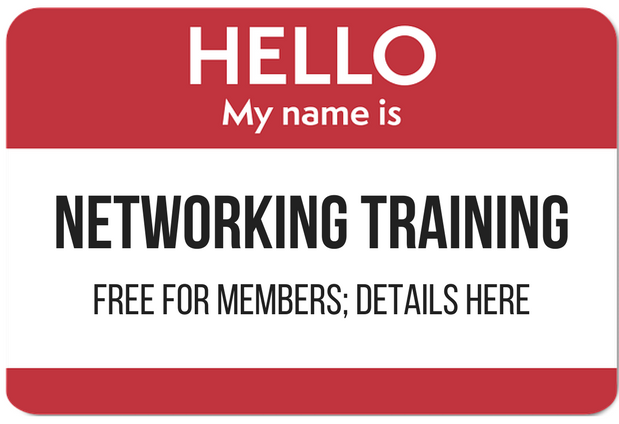 This month's live networking class is Networking for Newbies. Everybody should take this class at least once, and repeating is strongly encouraged. Yes, it is a beginner level class. Is this YOUR month to sign up? The next Networking for Newbies is on Friday, April 14 from 9:30-11:30am at the DIY Marketing Center in Vancouver. 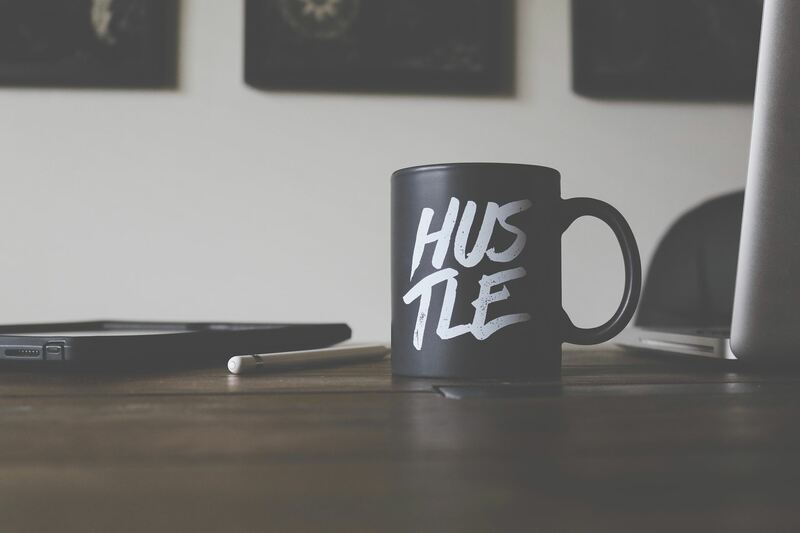 The first afternoon edition of our monthly Portland Mastermind meeting happens on Thursday from 3-5pm, followed by the first evening session of our monthly marketing seminar at 6:30pm: How to Create Your Business Brand Bible. Looking forward to seeing YOU this week at Lloyd Center! After chatting with several members about their progress on the goals set in January, I realized that we need something different for this second session of this series. We will start by recapping your progress (and challenges!) from the previous quarter. This won't take too long, and I promise there will be no shaming or blaming! Then we will drill down on what you want to accomplish this quarter, and you will experience my new process to set yourself up for success. There is no charge for members, and all members may attend any or all of the meetings. Sorry, but there is no room for non-members or guests.